There are many things that impact your health, some positive and some negative. It's up to you to do all that you can to avoid the unhealthy ones. Of course, it won't always easy. Obstacles sometimes get in the way. But, by learning more about the following five factors, which positively impact your health, you'll be well on your way to better health. The factors covered in this report are quality nutrition, hydration, detoxification, oxygenation and alkalization. Hopefully, you're already familiar with a few. Staying hydrated is extremely important for overall health. What many people don't realize is that drinking plenty of fluids is also necessary for optimal heart health. This is especially true in warm weather. Keeping your body hydrated helps your heart pump blood through your blood vessels. It also helps muscles work more efficiently. In other words, when you drink the proper amount of water or other fluids your heart doesn't have to work as hard. 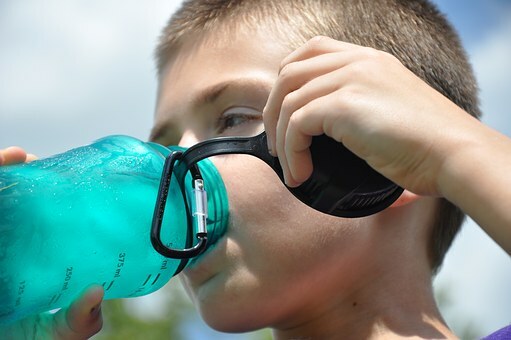 Sports drinks are recommended in very hot weather. However, if you're trying to steer clear of added sugar and extra calories, you might want to think twice. Any sugary drink, such as soda or fruit juice, tends to be harder on your stomach. And, anything with caffeine in it actually causes you to lose fluid, which obviously defeats the purpose. You've probably heard or read somewhere that you need to drink eight, 8-ounce glasses of water per day. While many people still believe this to be true, some physicians will tell you that it depends on things like climate, the type of clothes you wear and whether or not you're exercising. Never let the fact that you feel thirsty be an indication that you’re getting dehydrated. If you're thirsty, you've ALREADY reached that point. If you perspire more than average, you need to drink more fluids. If you have a medical condition such as diabetes, you need to drink more fluids. If you're elderly or pregnant, you need to drink more fluids. Believe it or not sometimes when you feel hungry, you actually might be thirsty instead. If you've eaten within the last two hours, try this trick. Drink a glass of water and wait approximately 10 minutes. If after that time, you no longer feel hungry, you'll know you were dealing with dehydration. One of the best ways to monitor your hydration level is to keep track of the color of your urine. If it's pale or clear it means you're properly hydrated. If it's dark, you need to drink more liquids. Don't ever take dehydration lightly. Not only can it lead to painful issues such as headaches and swollen feet, it can also lead to life-threatening conditions like heat stroke. If you’re feeling sluggish and lacking energy, it may be time to consider body detoxification. Detoxification, or detox, is the process of cleansing the blood by removing impurities in the liver, where toxins are naturally processed. This allows the body to process and removes toxins more efficiently, which leads to improved health and a better quality of life. Taking a break from eating gives our digestive system a chance to rest and rejuvenate. This means it will be more efficient when it’s time for it to work again. In order to give your digestive system a break, replace your meals with juices or smoothies for a day or two of fasting. This will be easiest if you do it on a day off, so that you can rest and avoid situations that might otherwise tempt you to eat. This detoxifying method may not be much fun during the actual fast, but it will be worth it afterwards when you feel energetic and refreshed. Toxins that we take in either through food or our environment get in the way of our body's healing processes. Stay away from refined sugars, saturated fats, coffee, cigarettes, and alcohol. Also, try to use natural alternatives to both cleaning and personal care products, to avoid exposure to minor levels of toxins. A major factor in our health is how efficiently our bodies make use of nutrients on the cellular level. Another factor is how effectively waste and toxins are removed. Our body has several ways of getting rid of cellular waste. Much of it is dissolved into water and leaves the body through urine and sweat. But, some of this waste can only be neutralized by oxygen molecules, in a process called oxidation. Because our bodies need oxygen to process waste, avoiding environmental toxins and maintaining proper oxygen balance leaves us feeling great and could even help prevent disease. Alkalizing your body is another wonderful way to stay healthy. Simply put, alkalization is shifting your body's pH to the proper level. In the event the thought of this makes you nervous, there's no need to worry. It's actually much easier than it sounds. The end goal is to have a body which is more alkaline than acidic. When your body is highly acidic, it tries to balance itself out by getting nutrients from your cells and bones. That's bad. The optimal pH level, to strive for, is just a little over 7. Once this number is reached, it greatly reduces the possibility of disease and cellular damage. When your body reaches this level, it's generally easy to maintain, as long as you know how to do so. The process involves replacing the acid you eat and drink with foods that alkalize. There are many benefits to an alkaline diet. Statistics indicate that if your diet consists of at least 70 percent of alkaline foods, you'll improve your quality of life substantially. Health benefits include an increase in energy, a more restful sleep, a slower aging process, a clearer mind and increase protection against certain kinds of cancer. That sounds wonderful, doesn't it? There are many types of foods that are great for increasing your alkaline level. 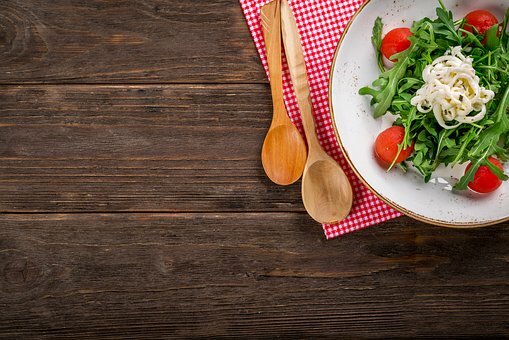 You don’t have to partake in a boring diet in order to get healthier. Think about incorporating some of the following items into your meal plan. It’s probably simpler than you think! When your pH level is out of whack, it has the potential of affecting your health in many ways. Excess acid is stored in fat cells. The reason for this is that the fat neutralizes the acid. There is good news, however. Once you reach a pH level of 7, it’s entirely possible to lose as much as a pound of fat per day. Your arteries are affected by pH levels, as well. Why? When your body is highly acidic, it automatically produces cholesterol to protect the arteries. High cholesterol can lead to heart attacks. The upside to this is, just like the excess fat cells, the extra cholesterol will disappear once your body is properly alkalized. Once your body begins to balance out and become more alkaline, you may experience something that is often referred to as "alkalize and energize." This simply means that you'll start to automatically feel more energized and ready to take on the world. Congratulations! When it comes to information about these five factors, which positively impact your health, this is just the tip of the iceberg. However, it gives you a great starting point. What you do with the information is, of course, up to you. If you feel overwhelmed, as many individuals do, tackle one area at a time. You're not going to feel transformed overnight. Obviously, it's going to take some time. But, with patience and due diligence, you'll start feeling much healthier before you know it. At that point, all of your hard work will be more than worth it!